The Canyon Neuron is positioned between the Lux, our cross country race bike, and the Spectral, our trail bike. It is aimed at riders of all levels and styles – from beginners setting out to explore their local trails for the first time, to seasoned pros pushing for every last metre on the climb. With 130 mm suspension on the front and rear, the Neuron is always the perfect choice, whether on casual after-work group rides or all-day high-alpine adventures. Countless test wins in the international press clearly underline the Neuron’s huge popularity. For years, it’s been one of Canyon’s most successful full-suspension mountain bikes, and rightly so. But the Koblenz-based bike manufacturer aren’t resting on their laurels now. 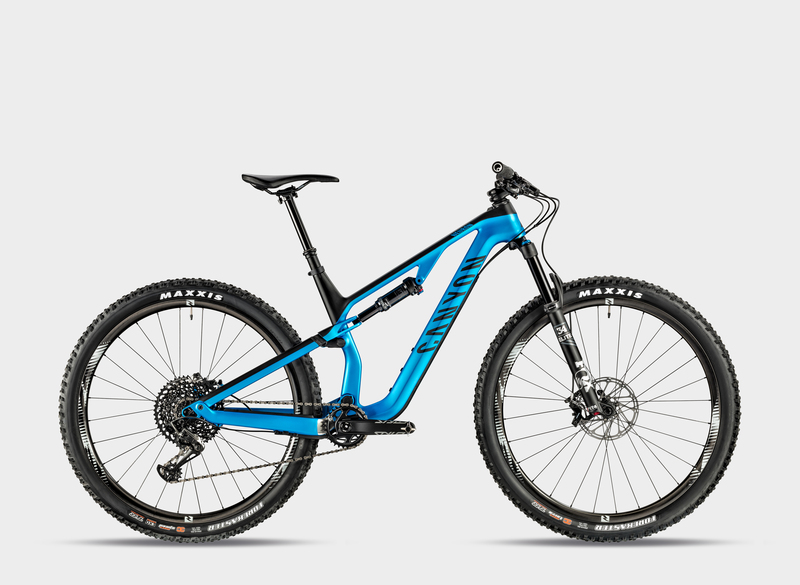 After recently launching the latest iteration of the Neuron AL – the 130 mm full-suspension all-round performer – Canyon are presenting the next evolution of its carbon counterpart, the Neuron CF, and an all-new motor-assisted Neuron model, the Neuron:ON. All three models feature an efficient yet sensitive suspension, confidence-inspiring geometry, and a range of smartly designed solutions so that riders spend less time worrying about their bike, and more time savouring their riding experience. The Neuron is an ideal choice for riders who prefer a style in between pure cross-country and pure trail riding: and with a wide range of models, there are options for riders of all budgets. “With the Neuron CF, we’re going against the current trend in trail biking – of making 130 mm bikes geared towards highly experienced, speed-oriented riders” states Canyon Product Manager Michael Staab, describing the approach behind the new Neuron CF. “For the rider to fully enjoy big rides in the mountains, long days in the hills, or just the usual after work loop, the bike simply has to have other qualities.” In the Neuron CF’s case, these qualities are provided by the lightweight carbon fibre frame, a geometry that keeps riders comfortable and confident all day long, and sensibly selected and reasonably priced componentry. The full-carbon, full-suspension 29-inch (27.5-inch in sizes XS and S) Neuron CF range starts with the Neuron CF 8.0, at a price point of 2,699 Euros*. The flagship model, the 12.1kg Neuron CF 9.0 Unlimited, with Fox suspension and Shimano XTR drivetrain and brakes, costs 5,599 Euros*. The women’s-specific Neuron CF WMN 8.0 and 9.0 models feature contact points – saddle and cockpit – that are specially optimised for female riders. The Neuron:ON, Canyon’s second e-mountain bike, takes all these benefits and brings them to the world of e-mountain biking. It features an aluminium frame, 130 mm front and rear suspension, and a Shimano powerful STePS E8000 drive system – the same system found on its big brother, the Spectral:ON. As a bike built for big mountain bike tours, the Neuron:ON has 29-inch wheels (27.5-inch in sizes XS and S) and is equipped with clever features such as the specially designed e-mountain bike saddle, SD:ON, and a USB charging socket on the top tube. “Compared with the Spectral:ON, the Neuron:ON’s suspension has a more linear progression for more comfort. 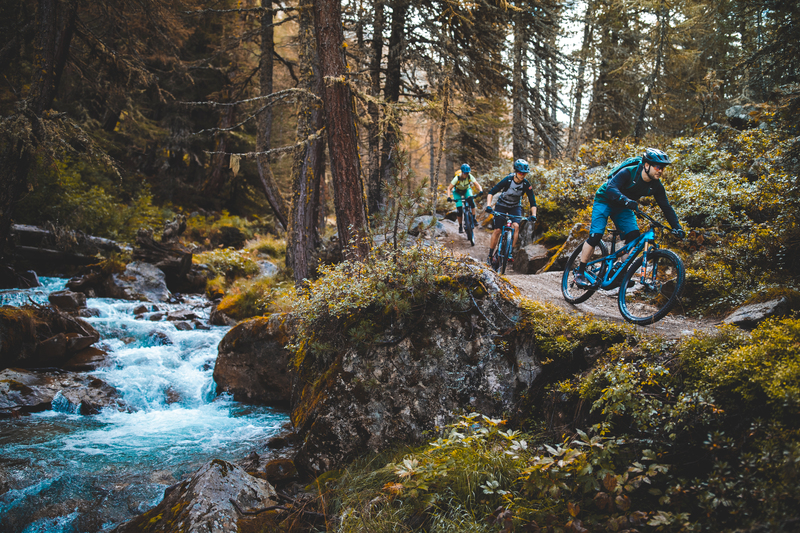 Furthermore, the 2.6-inch wide tyres provide plenty traction, and are perfect for an e-mountain bike made for big tours” explains Philipp Klein, product manager at Canyon. Prices start at 3,299 Euros* for the entry-level Neuron:ON 5.0 – exactly 500 Euros below the Spectral:ON family’s entry-level model. The Neuron:ON 7.0, at 4,299 Euros*, is the range’s top model. The Neuron:ON 5.0 and 6.0 are also available in a women’s-specific WMN version, with female-specific contact points (saddle and cockpit).